In November 2018, the Lunar Nodes switch signs, the North Node shifts into Cancer, and the South Node shifts into Capricorn and they will stay there until May 2020! The Lunar Nodes, the karmic pivot points of the universe, shift into Cancer and Capricorn in November 2018, where they will stay until May 2020. This is the legendary Dragon of the Hindus that devours the Sun and Moon at the eclipse points. The North Node or the ‘Dragon’s Head’ is now in Cancer till 2020 and the South Node, the ‘Dragon’s Tail' is in Capricorn, signifying the eclipses that are taking place in those signs. So what does this mean for you and for the world? The South Node, currently in Capricorn, is where you carry old unresolved karma. It is where past experiences ripen and deliver results with a karmic whack of the Dragon’s Tail, bringing important lessons to light. Often things around the South Node have been over-consumed and are devoid of nutritional value. You’ve been there, done that and you’re sick of it. To rejuvenate the land, you need to move toward the North Node, the Dragon’s Head. It’s where you feed your dragon with new and unfamiliar experiences. The North Node, currently in Cancer calls you to engage with the world constructively, solve problems and balance out your karma. 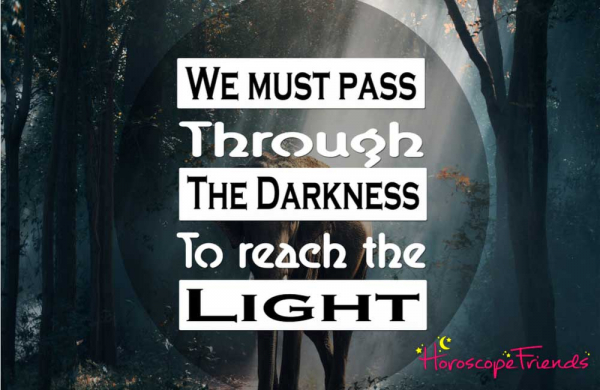 Unlike fixed signs Leo and Aquarius, where the Nodes were 2017-2018, Cancer and Capricorn are dynamic, proactive signs, so we will see things getting unstuck and finally moving forward in 2019-2020. Cancer North Node / Capricorn South Node tend to herald important chapters in our history. The last time we had them was April 2000-October 2001 (including 9/11 leading to the Patriot Act), September 1981-March 1983 (including the Thatcher-Reagan ‘special friendship’ that deregulated and reshaped banking and the economy), December 1962-August 1964 (including the Assassination of J.F.K.) and May 1944-December 1945 (including the end of WWII). Well, that reads like the Who’s Who of global dates! (How old are you? Did anything important happen in your life during any of those times?) So let’s see what crucial chapter in history we’re entering in 2019 and 2020. The North Node in Cancer is a universal call on the life-giving waters to replenish the parched earth devastation left behind by Capricorn’s top down, hollow financial policies since 2009. The Capricornian hunger for money and power exercised by the ruling classes has only served to preserve the status quo, stifling all growth in the process. Households - even entire nations - have suffered under this rule. And not a single tear has been shed. ‘Grit your teeth and bear it’, says Capricorn. Yes, money talks, but the irony is that nothing survives when you strangle life at its very core, denying nations, families and people the need to grow. Least of all the economy itself. Change is needed. Just like you cannot force economic growth by printing money, you cannot force happiness by going through the motions. Whose goals are you chasing? Are you slaving away for a pay-check? Are you staying in a relationship for the sake of appearances? You need to look within at your true needs. Expect an outpour of emotion during this time and a reminder that it is what’s inside that counts - inside your borders, inside your home, inside your loved ones, inside your heart. It’s time to listen to that inner voice, honour your emotional needs and follow your creative impulse! “Winter is coming” was the title of the first episode of Game of Thrones and no more apt words have been spoken about the upcoming South Node in Capricorn transit. Well, winter is here. The South Node in Capricorn is about ripening political karma and a whole bunch of dead chickens coming home to roost! The world is tired of pushing itself uphill without any real oomph. And you are tired of going through the motions, doing as you’re told with zero satisfaction (and even less remuneration!) and kowtowing to those you now know do not know any better. There’s gonna be karmic whiplash! It’s been piling up since 2008-10 when Pluto and the North Node first entered Capricorn and robbed the world of it soul. And it's waiting to be unleashed. We could see a banking, housing and property crisis, resulting from problems left unaddressed, as well as nations buttoning down the hatches, heightened political conservatism and homeland security. The way we feed ourselves will also be an issue, especially with Uranus in Taurus from March 2019. Personally, it’s time to toss out anything that no longer feels good in your gut and give yourself wholesome physical, emotional and spiritual nourishment! What empty structures, habits, thoughts, goals or relationships do you have going that provide no real sustenance? That kill and starve, instead of feed you? Recognise them for what they are and walk away. The South Node in Capricorn will deliver key lessons in 2019 as it conjuncts karma planets Saturn and Pluto, revealing the real extent of corruption of those in charge, pointing to your own false ambitions and to detrimental structures in your life. Pluto in Capricorn has been slowly but surely creating an oppressive world hierarchy since 08. Now, Saturn in Capricorn drives the point home that we need mature, responsible, accountable policy-makers. And we also need to take greater responsibility for our own lives. If it all sounds too grim, here’s a happy thought: by 2020, lucky Jupiter also enters Capricorn and conjuncts the South Node. This could help us learn from past mistakes and make a more constructive fresh start. Read on for your Lunar Nodes in Cancer and Capricorn Horoscope for your zodiac sign. How will the Lunar Nodes in Cancer and Capricorn affect your Sign? Here’s a little look of how the North Node in Cancer and the South Node in Capricorn will affect your sign from November 2018 till May 2020. Who’s in charge, dear Aries? Nobody, really. Authority figures are thoroughly debunked and you need to look within for guidance. Career goals and any desire for a respectable social image and for status you may have are starting to wear pretty thin now. You realise that nothing is more important than that you feel good inside and that your body, your home and family are well. Focus on your inner needs and things in your external world will soon fall into place. No more shoulds and oughts, dear Taurus. No more dogma. Top down directives and empty philosophies no longer hold any water for you. What you used to believe is all but dried up now, an empty shell, and you need fresh food for thought. Devour books, get online, dig up refreshing facts and connect with as many people as you can. Your mind is like a sponge and will soon come up with some invigorating new ideas. Find your true, authentic voice and soon you’ll be able to share your truth with the world. Emotional debts and financial obligations - loans, agreements, joint finances and taxes - are all getting heavier by the minute, dear Gemini. Your relationships weigh on you, you or someone else can’t keep up with payments and think on defaulting on a promise. There’s some heavy relationship karma to process now - whether in business or your personal life - but if anyone can do it, you can! The key? Look to your own assets. Tend to your own wellbeing and security. Tap into your great resourcefulness and your ability to literally make money grow on trees. Or had you forgotten all about that? The North Node is in your sign, dear Cancer, and you’re the very remedy that the world needs right now. Where others are at a loss, you provide the solution. Where others are going through the motions, you show true creative impetus. Will you take a chance on yourself? If you don’t we all lose out! So take the lead and show everyone how it’s done. Trust yourself, your desires and initiatives and others will eventually follow. You’re at the heart of this new world that’s dawning. Take a chance on yourself! It’s time for some spiritual nourishment, dear Leo. You’ve done the right thing, played Santa’s little helper, offered your services and taken your doctor’s advice but it simply doesn’t work. It’s time to try an alternative route for improved wellbeing. It’s time to get involved in something big. You’re done with being a cog in the wheel and you want to be part of something greater. Listen to your soul’s calling. Reinvent your work and lifestyle based on your spiritual needs and all the nitty gritty will fall into place. Traditional ideas of love and personal fulfilment no longer hold any water, dear Virgo. Maybe you thought that a lover, a hobby or a child was the key to your happiness but these concepts are now defunct. If your creative juices have run dry or your love for something or someone is crumbling under the pressure, it’s time to dream fresh dreams. Let your friends nourish you. Get involved in your community in search of new inspiration and you’ll soon rediscover your creativity, love and joy. Your home, family and private life have become positively exhausting, dear Libra. How can you achieve anything when you feel so drained within? Your psychological suffering has left you almost numb and unable to deal with the outside world. But the key is exactly the opposite to what you’re doing: to shift your focus out of yourself again and find a worthy goal, a role in the world that speaks to your need to be needed. Start by giving yourself the parenting you need to feel safe. Then be a good parent or boss and take care of others. Rediscovering your life’s true calling will also solve any problems at home. Your world has shrunk, dear Scorpio, and you feel trapped in your very own back yard. You are yearning to feel free again! Free to move as you wish, to study, travel, publish or speak your mind and to explore your creative ideas. A trip abroad, a course or seminar or an international connection could be exactly what you need to fertilise your thoughts and bring back fresh hope. Seek new horizons, publish, get your ideas out into the world and you’ll soon break out of the vice-like grip of your immediate environment. If in doubt, seek expert advice. The old ways of earning money are no longer viable, dear Sagittarius. If you’ve been a good girl/boy and followed the corporate model for a pay-check, chances are you’re not happy with what you got. It’s time to think again. What you need is outside care, support and investment to invigorate your dried up finances and restore your trust in others. A sponsorship could be the key. If you feel lonely and it’s your heart that’s suffering instead, it’s time to open up to others and share your feelings. Let someone into your world and your life could be transformed! The South Node is in your sign, dear Capricorn, and all your chickens are coming home to roost. Have you acted responsibly toward others? If so, your authority and maturity will be recognised now. Have you gone on a power-trip instead, chasing fame and glory at the cost of relationships, using others as stepping stones and thinking that people are expendable? Then, you might be taken down a peg or two now. Encounters (both one-to-one and en-masse) have a lot to teach you in 2019 and 2020. Let important relationships hold up a mirror to your soul, let yourself be judged, accept your reward or punishment and become a better version of yourself. Enough self-sacrifice (or is it self-sabotage? ), dear Aquarius! You’re fighting a losing battle - whether it’s with a backstabbing colleague, your own health or your plans to change the world - and your enemies are getting stronger. The key? Focus on what you can do. Adopt a more nourishing lifestyle and give your body the food and rest it needs. Focus on developing your own skill and discipline and leave the bigger picture to take care of itself (and your enemies to self-destruct!). Every big change starts with one small step. Focus on that, take care of the detail and the rest will follow. Love is the key, dear Pisces! Your social milieu is pretty oppressive right now and you’re sick of trying to fit in. Have you been following someone else's dreams and ambitions? Have you allowed the world to kill your dreams? If you continue this charade, you’ll have nothing left to bring you joy and your creative spark will whither. It’s time to follow your heart! Ditch false ambitions and false friends and don't worry what so-and-so at the club will say. Focus on your hobbies, your child, your lover, on having fun and on your own creativity and happiness! And soon everyone will want to be your friend.